Special Design on Bottle Cap, Adopts a straw design, which can be used to supplement the body's moisture by directly drinking, and the outlet water hole design can be used to supplement the body in hot outdoor sports. Our Sport Bottles are made out of non-toxic BPA free plastics & 18/8 food-grade stainless steel. Keep cold liquids cold for up to 12 hours. It's suitable for camping, cycling and other outdoor uses. 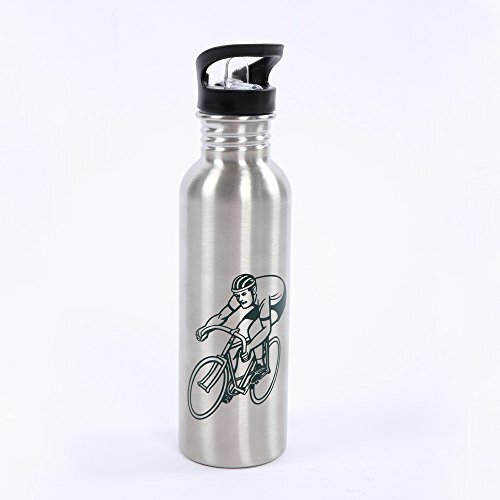 Holds 0.75 liters (26OZ)of liquid, extra wide mouth for slipping in ice cubes to keep your drinks cold, slim cylindrical design fits all standard cup holders as well as bicycle and backpack bottle cages. Dishwasher safe on top rack and easy to clean sport bottle with just a quick rinse of water. ZOYO water bottle is constructed of food grade material - Lifetime Warranty. If you have any questions about this product by ZOYO, contact us by completing and submitting the form below. If you are looking for a specif part number, please include it with your message.